Maisonneuve, J. G. (1840). Recherches sur la fracture du péroné. Paris. 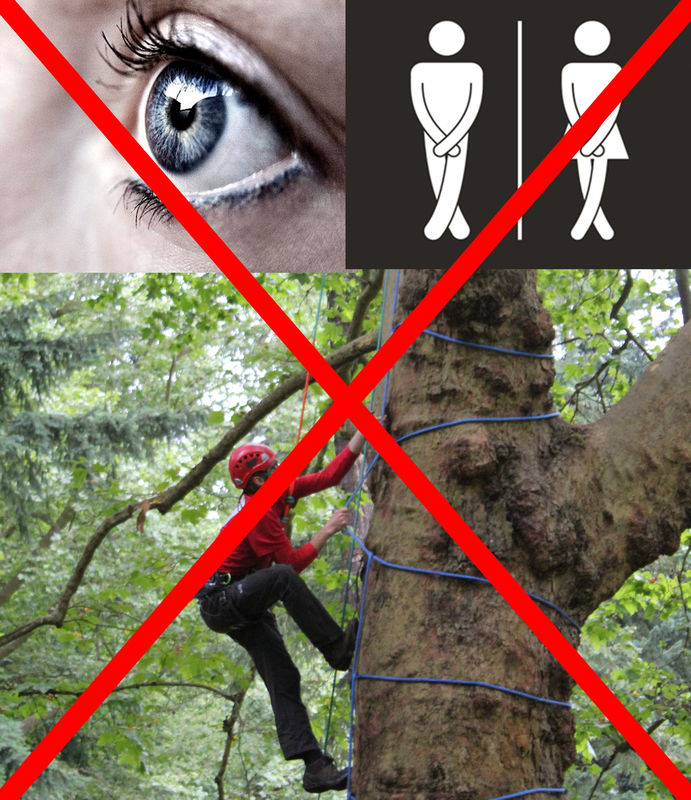 France: Loquin & Cie.
What rheumatologic disease can be summed up the phrase “can’t see, can’t pee, can’t climb a tree”? 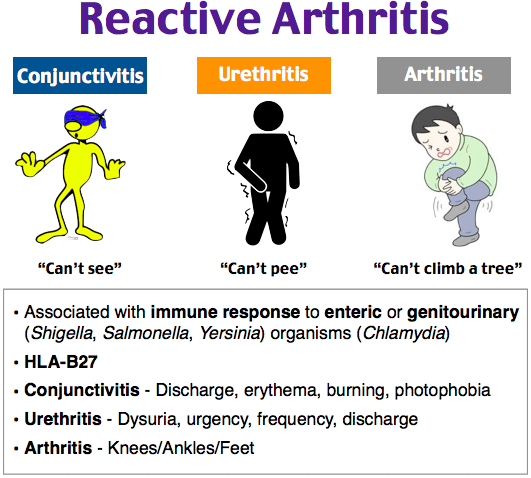 The triad of ocular symptoms (conjunctivitis, uveitis, episcleritis, keratitis), genitourinary symptoms (dysuria, urethritis, cervicitis) and musculoskeletal symptoms (arthritis, enthesitis, dactylitis) are diagnostic of reactive arthritis. 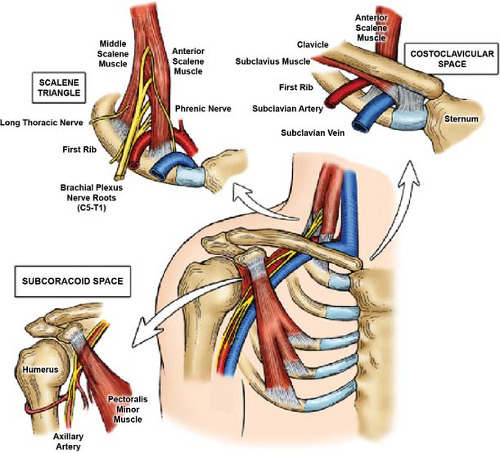 Thoracic outlet syndrome is constellation of signs and symptoms due to compression of the neurovascular bundle in the upper thorax. What are the three main classifications? What structures can compression the bundle? What are the three physical examination maneuvers you can do at the bedside to help diagnoses? Clinical Significance – Most commonly seen in osteoarthritis and similar to Heberden’s nodes of the distal interphalangeal joints, though they are less common. History – Named after Charles Jacques Bouchard (1837-1915), a French pathologist who received his medical doctorate in 1866 while studying under the famous Dr. Jean Martin Charcot. He practiced at the Bicêtre Hospital where he was appointed chair of general pathology in 1879. 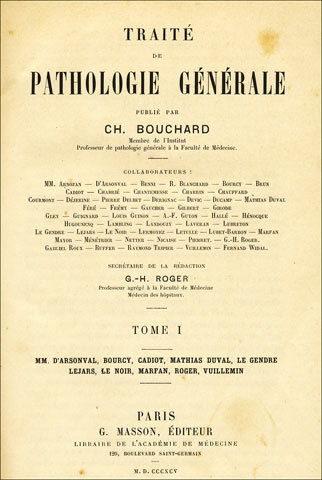 His seminal work was the Traité de Pathologie Générale, which was a compendium of medical pathology and where the description of his eponymous findings were first recorded.